New for 2019, campers will learn the basic techniques of fishing, educated on the fish in local water holes, and learn how to repair poles. 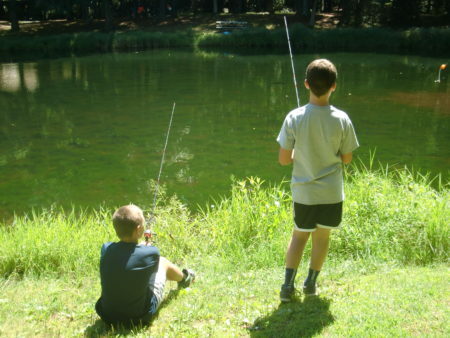 Instructed by CT DEEP certified fishing instructors, campers will spend the first two days at Camp Chase learning safe casting using training poles and the next three days at local fishing locations. Campers will experience this amazing program in the morning and traditional camp in the afternoon! This will be offered Session 6: July 22- July 26. New for 2019, campers will learn and expand upon their knowledge of shooting bow and arrows. Campers will be instructed on proper form, scoring, and repairing broken equipment. This program runs during the am portion of the day and campers will experience traditional camp in the afternoon. (only 20 spots available for campers going into 3rd grade- 8th grade) This will be offered Session 3: July 1- July 5.